(REUTERS) – Hungary plans to build a second fence on its southern border with Serbia that would enable it to keep out any major new wave of migrants, Hungarian Prime Minister Viktor Orban said on Friday. Orban said the new barrier, to be built alongside the existing one, would strengthen defences to respond if Turkey’s policy on migration changed. If that happened, hundreds of thousands could appear at Hungary’s border, he told public radio. “Technical planning is under way to erect a more massive defence system next to the existing line of defence which was built quickly (last year),” Orban said. Orban said Hungary had to prepare for the eventuality of a deal between Turkey and the European Union to clamp down on migration into Europe via the Balkans unravelling. “Then if it does not work with nice words, we will have to stop them with force, and we will do so,” Orban said. A razor-wire fence built along Hungary’s southern border with Serbia and Croatia has sharply reduced flows. 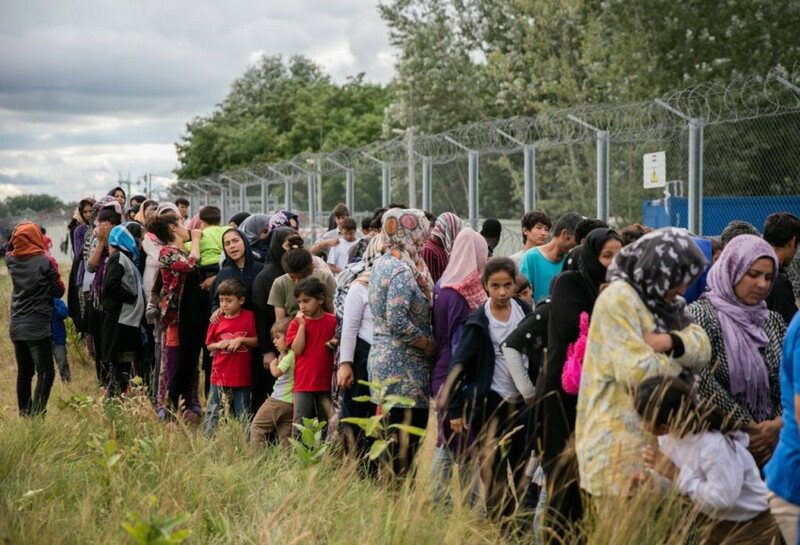 HORGOS, SERBIA – JULY 16: Migrants queue for food being delivered by volunteers at a camp besides the border fence close to the E75 Horgas border crossing between Serbia and Hungary on July 16, 2016 in Horgos, Serbia. 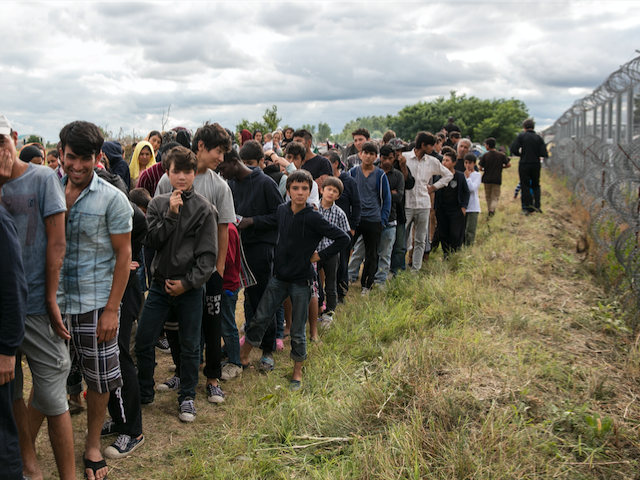 Last year hundreds of thousands of migrants moved up from the Balkans towards northern Europe. That flow has since been reduced to no more than a steady trickle. Orban said Hungary would also boost its police presence to 47,000 from 44,000, of which 3,000 will be constantly deployed on the southern border. He also said it was Europe’s interest to work with Turkey and to agree on the issues that serve Europe’s security. Under the existing deal, Turkey has agreed to help stem the tide of illegal migrants into the bloc in exchange for aid and visa-free travel for Turks. Turkish President Tayyip Erdogan has repeatedly said that European leaders are not living up to their side of the pact. Later on Friday, Orban and other prime ministers of Central European EU member states — the Visegrad countries — will meet in Warsaw with German Chancellor Angela Merkel. Orban said the task for politicians was to change a decision by the EU to let in migrants and distribute them based on quotas among member states. Hungary will hold a referendum on Oct. 2 on whether to accept any future EU quota system for resettling migrants.